Ramboll is to merge its Oil & Gas and Energy divisions to accommodate the growing focus on sustainability and better support clients’ need for a full service, multidisciplinary offering. 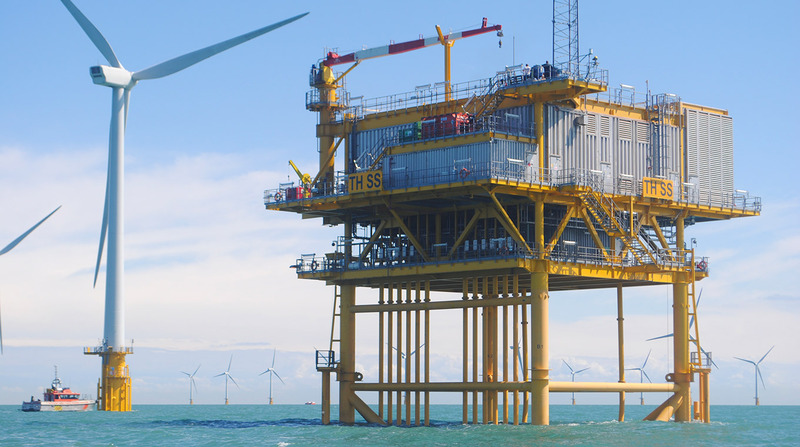 When Ramboll in 2016 entered the Chinese market, as the first foreign consultant on a large offshore wind farm, it was a result of a close collaboration between Ramboll Energy and Ramboll Oil & Gas. Energy provided the engineering for the 100 extra resilient steel turbine foundations that are necessary in an area prone to earthquakes and very soft soil-conditions, while Oil & Gas provided the 400 MW substation detail design. From January 2018 the two units of Ramboll will continue to work together but under one name: Ramboll Energy. The main reason for this is that the structure of the world energy market is changing. Although oil and gas will continue to play a significant role in the energy mix in the coming years, there is a strong push towards renewables and a growing focus on sustainability. Large players in the oil and gas sector like Total and Statoil are changing their portfolio and strategies to accommodate for this green transition. Furthermore, the oil market has settled at a lower level after a drop in oil prices that is driving significant consolidation in the market. For Ramboll these global market developments offer significant potential that can be better exploited by combining our current Oil & Gas and Energy business units. “Today we already share a number of large energy clients,” says Thomas Rand, Managing Director of the new Ramboll Energy unit. “With our combined service we will have 1,500 employees dedicated to renewable and conventional energy locally and globally”. “We will support our clients better with a holistic approach to the energy sector and the challenges our clients face as well as a full-service, integrated and multidisciplinary offering that cuts across the whole value chain. We will be a one-stop-shop,” adds Executive Director John Sørensen. The new unit will have a wide geographical reach, more diverse competence teams and a portfolio of close to 4,000 projects – with approximately DKK 1.2 billion in revenue.